Accomplice in 2013 Onalaska Pawn Shop Robberty Gets 40 years, LIVINGSTON, March 30, 2015 - Kenneth Ray Freeman, Jr. pled guilty today to the offense of Engaging in Organized Criminal Activity. 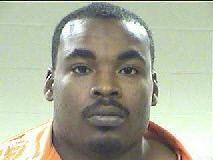 Freeman admitted his involvement in the December 20, 2013 Aggravated Robbery of Richard Baker. Freeman and three others robbed Mr. Baker at his pawn shop in Onalaska. During the robbery, Mr. Baker was shot twice. Mr. Baker returned fire and Freeman was shot twice. After a sentencing hearing in which Mr. Baker and his wife testified, Judge Ernie McClendon sentenced Freeman to forty year’s incarceration in the Texas Department of Criminal Justice – Institutional Division. Freeman expressed remorse for the actions of December 20, 2013.